Often around the Holiday times many families struggle to make ends meet. Whether you need help paying your rent or hep paying bills in general there are programs that can help. Don't let a rejection deter you - just keep looking if the first program is unable to assist. Often the programs put in place to help pay rent have limited funds that are not enough to cover the large need. 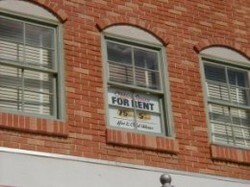 In a lot of cities and towns there are programs designated for locals that can help pay your rent. Often you can find a community resource number in your local phone book or often through your utility company that can direct you to bill assistance programs that you can reach out to. Most local and out of town charitable organizations will assist families and individuals who need one time help paying rent. These programs and services are often made up of churches and other services/organizations such as the Salvation Army that can assist a family in need. Search for the social and health services in your area. These services are typically referred to as the state welfare program and often have offices in most major cities. However you do not have to currently be receiving state assistance or apply for long term assistance to qualify for some services such as diversion grants which are aimed to help pay rent or assist with help paying bills outside of rent such as electricity. Some programs, organizations and foundations dedicated to helping specific illnesses/diseases such as A.I.D.S/H.I.V, cancer or other life threatening conditions will often have resources designated solely to help families or individuals who have been diagnosed with these conditions. Be sure to check with relevant foundations and organizations (cancer.org, AIDS Foundation...) to see if they can assist in paying your rent or mortgage. Most of these programs will limit how often you can use their services to get help paying your rent, electricity or other bills. For the majority 1 time a year is the max allotment of services while others may require several years between receiving additional assistance with paying your rent or electric bill.